The Camp Claiborne project began as something entirely different than what it has ultimately become. I never intended to start a website chronicling as much about the camp and its story. All I wanted to do was find information about my grandfathers unit when he was in the Army in WW2. Growing up, I had heard countless tales (actually 4 or 5) about when he was in the Army and the little camp he trained in buried somewhere in Louisiana. 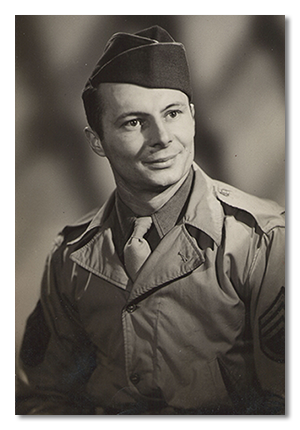 From his unit being brand new, with no cadre to it being one of the highest paid engineer units during the war, he always seemed to be proud of the 2 and a half years he spent serving Uncle Sam in WW2. His unit, the 393rd Special Services Engineer Regiment was a war time creation. One of 6 specialized engineering units, it seemed to be comprised nearly entirely by NCOs' and Officers and were all construction and engineering experts. The trouble with war time units is some had very short histories and some were deactivated or reorganized after the war. Information is scarce and in some cases had flawed or outright incorrect details. I scoured the Internet at the time looking for anything I could about the 393rd, and back in the late 90's the Internet hadn't quite become the vast repository of obscure information, but the 393rd was a little too obscure. One day I had an idea. Maybe I was going about it the wrong way. I decided to start with a more broad approach. The unit began its life at Camp Claiborne, and spent a decent amount of time there before going overseas. So I began to research the Camp. Finding old copies of the Camp newspaper gave me my first real break. An article about the 393rd receiving their regimental crest and colors on the parade grounds. I also found an article where the regiment's basketball team played another unit and won. 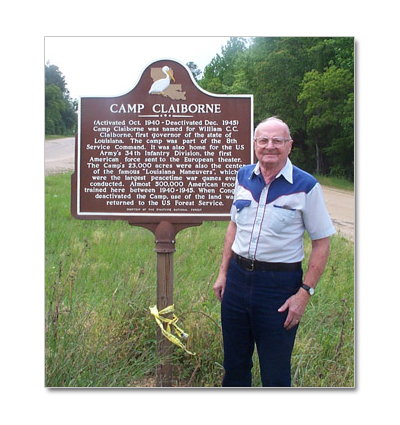 After that I began to collect as much Camp Claiborne information as I could lay my hands on. Mostly off eBay and from families of veterans that served there. In a couple of years I had a few boxes of Claiborne memorabilia. From Thanksgiving Day menus for one regiment, to photographs of GI's taken from the camps earliest days to the end. Unfortunately the 393rd details were still scarce, but I had tons of data on other just as equally obscure and hard to research. That's when www.campclaiborne.com was born. I figured that I couldnt' be the only person trying to conduct some personal family research. Since it launched in 2001, I've had thousands of visitors, hundreds of requests and have helped out more people than I could have ever imagined. I've been able to reunite people with long lost relatives in the form of photographs and letters they've never seen before, or thought were lost to time. Due to problems with the design originally and lack of time I was forced to suspend the site for a couple of years. During that time I still collected material, and hoped to bring the site back eventually. My grandfather passed away in September 2009, and that was the motivation to bring the site back. I wanted it to be an online memorial to his brief but fiercely proud service during the war. 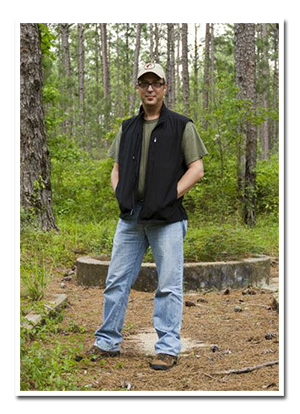 This is the latest iteration of the site, which I began designing shortly after he passed. I hope you enjoy your visit here, and find something you're looking for. He'd be glad knowing the site was up and helping people connect with their family history. ©2012 Ken Kopacki - San Antonio Web Design by Internet Direct. Site Materials Usage Policy Here.